Indie Game Developers VooFoo Studios have announced that they will be releasing a new game early next year. This Is Pool will be launching on PS4, Xbox One and Nintendo Switch early 2019 and will feature hyper realistic graphics and a revamped physics engine. You can find out more in the official press release below. Birmingham, United Kingdom – 18th September, 2018 – Acclaimed independent games developer and publisher, VooFoo Studios, is excited to announce that This Is Pool®, a new wholly-owned IP, will be coming to PlayStation®4 computer entertainment system, Xbox One, Nintendo Switch™ and Steam® (for Windows PC) in early 2019. Prepare yourselves for the return of the masters of the baize as the creators of the critically acclaimed *Hustle Kings and Pure Pool return with This Is Pool®. Developed using all the power of VooFoo Studios’ updated and completely revamped world-class game and physics engine, This Is Pool® will set new benchmarks for graphical fidelity and hyper-realistic gameplay in a breathtaking simulation that is set to redefine how good a cue sports game can look and play. 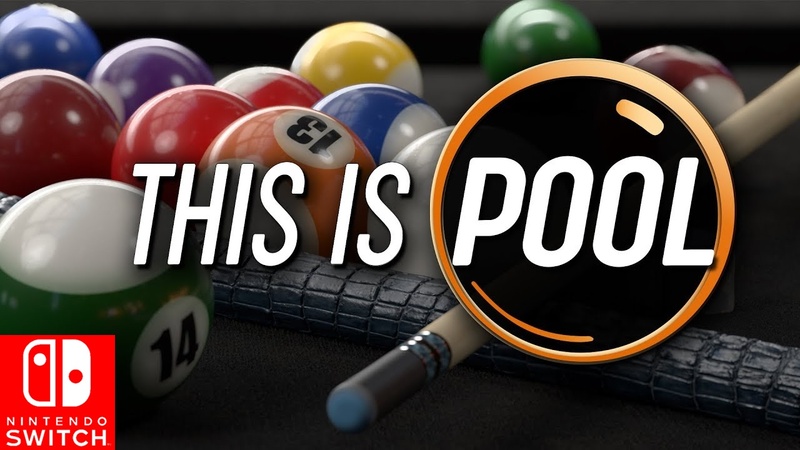 This Is Pool® will expand and improve on previous games to deliver the most robust, expansive and feature-rich cue sports game to date that will include every major rule-set played worldwide, practice mode, mini-games, career mode, arcade trick shots and ‘scenario’ challenges, rule-set customisation, local and online multiplayer and more, along with the option to play with a top-down camera view. VooFoo Studios are giving gamers an early first-look at This Is Pool at EGX, the UK’s biggest gaming convention of the year, which takes place at Birmingham NEC from 20-23 September, where attendees will have the chance to play the game months ahead of release in the Rezzed Zone. This Is Pool® is being developed and published by VooFoo Studios and is the second wholly owned IP from the Birmingham based studio. Further announcements will be made in the coming weeks and months.